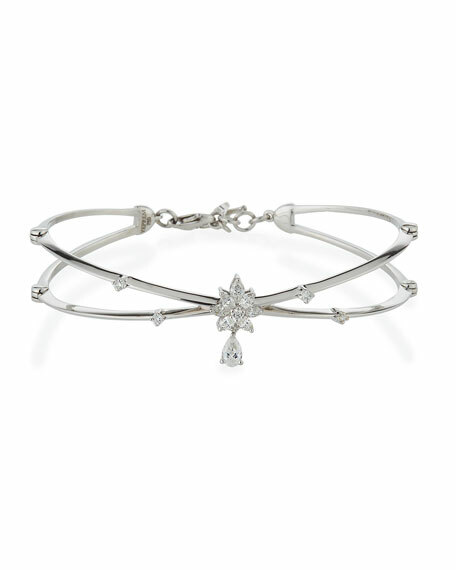 Yeprem bracelet in 18-karat white gold. Round, marquis, and pear-shaped white diamonds. 0.73 total diamond carat weight. Ippolita overlap bangle from the Stardust Collection. Polished 18-karat yellow gold band and settings. 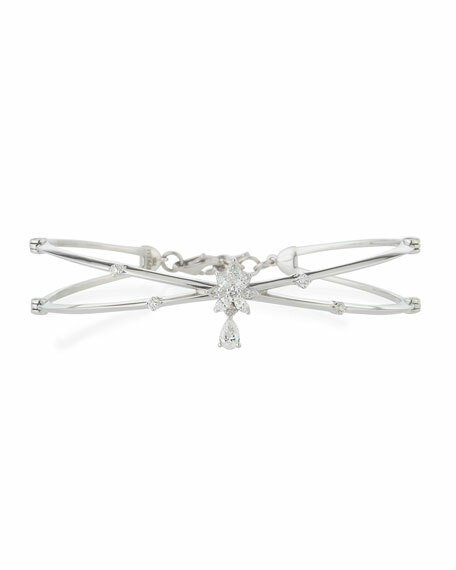 Thin frame with diamond pav?? ends. Ippolita overlap bangle from the Stardust Collection. Polished 18-karat yellow gold band and settings. Thin frame with diamond pav?? ends. 0.22 total diamond carat weight. Approx. 2.6" x 2.3" opening. Oval-shaped for secure fit. Slip-on style.